1- Natural Stone: Natural stone pavers, such as flagstone or fieldstone, are very attractive and are the most expensive type. Limestone is often used as edging material because the stones are extremely strong and stand up well under extreme weather conditions in winter.Natural stone is most often used in pathways, walkways, edging or on patios. 2-Paving Brick:Paving brick is made of clay, which is very strong and resistant to stains. 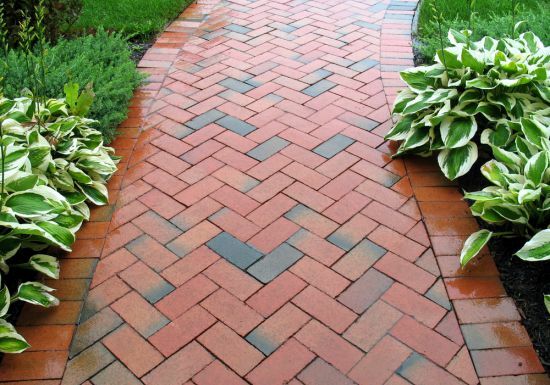 Brick also offers timeless design appeal and presents a quiet, stately elegance.Brick is extremely versatile and durable and can be used on pathways, driveways and as edging or patio material. Consult with local stone & walkway contractors in your area.